When you’re looking to ship an item or bulk load, the freight rate is the term used to describe the cost of the shipment. 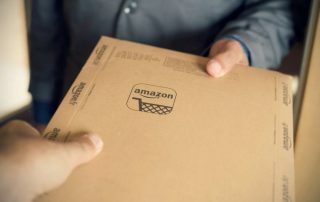 It’s all well saying ‘leave it to the experts’, but you’ll probably need a ballpark figure to aim for, and to know whether you’re getting a good deal on your shipment. Freight rates aren’t, however, simple to calculate. Many variables such as collection point, destination, mode of transport, and the weight, volume and nature of the cargo will go into each calculation. At Freightabase, we can connect you to cargo specialists who will explain the price for you, and we’ll also give you a range of quotes to compare. But, if maths is your thing, here’s a breakdown of how these prices are calculated. Who is involved in calculating freight rates? Consolidators, customs brokers, freight forwarders and NVOCCs (Non-vessel-operating common carriers) may all be involved in the process, due to the different roles they play. Consolidators are responsible for grouping freight together, often from different companies but heading to the same destination. Customs brokers are licenced professionals who can clear goods being imported. Freight forwarders act as agents to businesses, arranging their transport services, and NVOCCs will buy space on transport and re-sell it to smaller shippers. What’s the cheapest mode of transport? What’s the most expensive? This, again, depends on a few variables. Same-day courier, expedited freight and chartered air freight are the most expensive modes of transportation, generally speaking. Guaranteed delivery is also more expensive, due to the logistics and planning involved in ensuring a consignment arrives at exactly the right time. Sea freight is generally the cheapest mode of transport, but can also take the longest – weeks or even months for transatlantic journeys. What’s the most expensive type of cargo to ship? Any freight which requires specialist handling, such as temperature-controlled, hazardous or otherwise ‘abnormal’ loads will be more expensive to ship. Many of these items will require specialist teams with qualifications to complete the shipment. Almost counter-intuitively, the more freight you ship, the cheaper it will be. But when you think about it, this makes sense. When businesses are shipping freight frequently, and in larger amounts, it costs less to move for the carrier themselves: the same amount of fuel or energy goes into transporting a letter as transporting an entire crate. After all, that’s why there are businesses whose sole purpose is to make freight easier and cheaper to transport for small businesses and individuals. Sending a FCL (full container load) means you will be charged a flat fee, as these containers are easier for a company to manage in terms of tracking and allocating space. Shipping containers are standardised, meaning they are the same size all over the world. LCL – less than container load – cargo will most often be consolidated along with shipments from other companies into a container. These will most often be charged by weight or dimensions, and is down to whoever is consolidating the loads. Just like most industries, there are also seasonal peaks. As demand rises ahead of holiday periods, shipments become more expensive, as does warehousing and storage. Currency exchange rates will also affect shipment costs to a lesser degree, but it’s still worth checking. Prices are inevitably going to vary from company to company, country to country. By the time you’ve done your research, you could find that you’re not left with a specialist who will provide the quality of service you expect. Honestly? After all the faff, unless you’re an industry expert, there are a number of service providers who can do all the hard work for you, leaving you to focus on what’s important. 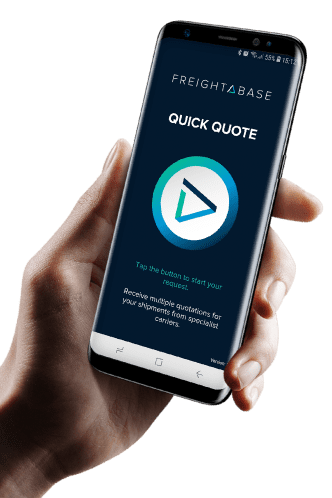 If you’re looking for a price on your shipment today, visit Freightabase to receive a number of quotes to compare.